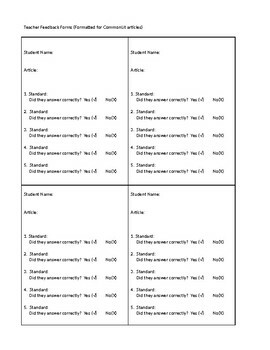 This document helps students track which standards they are hitting. It can be altered for any subject. The student just place a check or "x" in the box associated with the standard. 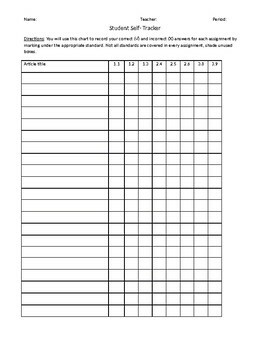 The linear design provides a visual data collection and the document includes grade slip to hand students so they can easily chart their data.